Justice Sophia A. B. Akuffo the Chief Justice (CJ) on Thursday said the Judiciary would from March this year rollout an online filing system in the courts. “Beginning of next month, we would be rolling out the online filing system. This will bring out more technological services and create less corruption and tampering,” she said. The Chief Justice said the process formed part of her vision to ensure that both lower and superior courts had access to connectivity. Justice Akuffo said this at the opening of the second Ghana Institute of Management and Public Administration (GIMPA) 2018 Law Conference, in Accra. The two-day conference, which is being put together by the GIMPA Law School and the African Centre on Law and Ethics is on the theme: “The Judiciary and its Contribution to Ghana After 60: Reflecting on the Past, Analysing the Present, Preparing for the Future”. The Chief Justice said connectivity had become necessary because it would eliminate delay of services in the discharge of judicial duties in terms of records that mostly delayed judicial proceedings. “If the people loose trust in the judiciary and cannot seek refuge in the law there would disaster…. This is not how a democracy grows,” she remarked. Ms Akuffo was worried over corruption, which had bedevilled the country noting that it had become the standard description of public officials. “Let all of us, within the judiciary and without, allow any unfair treatment we have ever suffered, transform us into people who uphold justice, let us draw on any feeling of betrayal we suffered because these are precious in teaching us the value of loyalty; loyalty to our country,” she appealed. Ms Akuffo further called on the Bench, Bar, Office of the Attorney-General, Ministry of Justice, Police Service and the Prisons Service to “watch out for the weights that throw a wrench in their works”. Touching on the theme, Ms Akuffo observed that Ghana’s existing justice delivery system was fraught with a myriad of challenges that undermined its smooth and efficient operation. “However, these challenges do not lead to the delivery of excellence in the judicial administration and it is for this reason that, as a Chief Justice, I will bring into application all such feasible systems and means to effectively deal with such challenges and optimise the delivery of quality outcomes,” she assured. The Chief Justice called for reforms to help the judiciary serve the cause of justice adding that staff of the judiciary should be ready to adopt those reforms in their daily operations. “Dynamism is important in our pursuit of an excellent justice delivery system. If we must deliver on this mandate which is a duty we owe to the people of Ghana in whose name and for whose benefit we exercise judicial authority, we must be innovative in our approach,” she stressed. 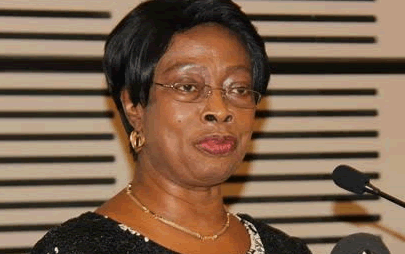 Citing the Supreme Court’s contribution towards Ghana’s democracy in recent times, Ms Akuffo noted that it had issued broad rulings on individual rights some of which required government to take positive actions on behalf of minority interest and encouraged the citizenry to be bold in pursuing the path of justice for the good of all. “I will like to serve a word of encouragement to the citizens of Ghana that I need not establish a personal interest in the matter to bring an action to the Supreme Court for an enforcement of the constitution,” she added. Mr E. Kofi Abotsi, the Dean of the GIMPA Law School, said the last time such a reflective engagement happened was some 42 year ago, and happening now, it behoved on participants not to see it as a conference that was opening the court to critics but rather a process for forging ahead constructively. “This conference is for respectable engagements where key players in the administration of justice shared a common platform as recipients of the customs of the courts,” he said. Mr Kofi Darko Asante, the Chair of the GIMPA Governing Council, said the constructive dialogue between the judiciary and the GIMPA Law School was beginning a series of conversation with parliament for open democratic governance. He called on political leaders and politicians to cultivate the habit of tolerance that would enhance an open democratic governance in the country. Dr Nana Susubiribi Krobea Asante, the Paramount Chief of Asokore Traditional Area, urged the judiciary to modify laws, orient their judges especially those in the High Courts, address new frontiers of the law and have their independence from external influences to ensure integrity. Professor Philip Duku Osei, the Deputy Rector of GIMPA, lauded the organisers for an innovative way of promoting democracy in the country through divergent views. 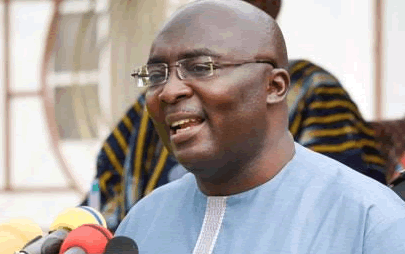 The two-day conference would have panel discussions and speakers including; Mrs Marietta Brew Appiah-Oppong, the Former Attorney General and Minister of Justice, Mr Osei Kyei Mensah-Bonsu, Majority Leader in Parliament, Mr Haruna Iddrisu, Minority Leader in Parliament, Mr E. Kofi Abotsi, the Dean of the GIMPA Law School among others.